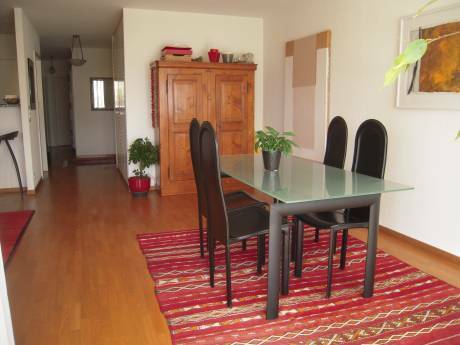 We offer a large and beautiful apartment in the center of Lausanne. We have three bedrooms, one with one single bed, one with a small double bed (including study room), one with a large double bed. 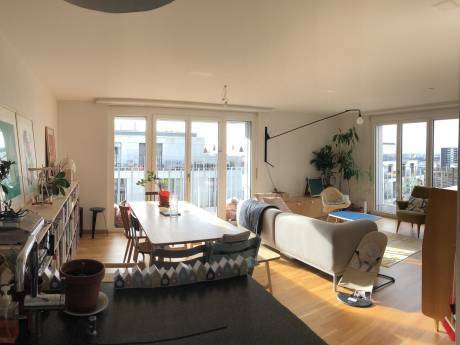 There is one large living room, and a kitchen. One bathroom has a bath and toilets, one has a shower, and one with a seperate toilet. It's a very nice located apartment with wooden floor. We are Joëlle and Eric, a married couple with one 4 years old little girl. We are both professionals (CFO and Insurer) and enjoy travelling when able to get away. At this moment we are in Australia for a 6 months trip. We are looking for an appartement in a ski station. We really like the region of Tignes, Val d'Isère, but are open to any offer, for one week in March 2010. We will come with both Grandma of our daughter. 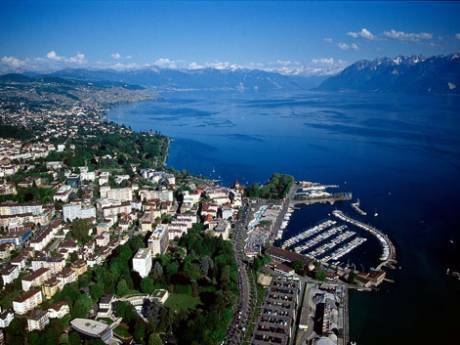 Ideally located, our town offers easy access to the lake, the mountains, Olympic museum, Geneva and the tourist attraction. Very easy for public transport (bus, train, international airport).